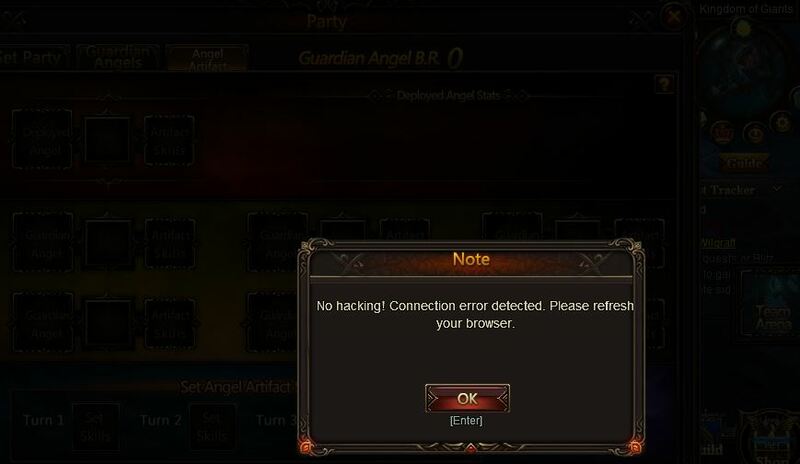 Can someone answer a question why is it when I check his ANGEL ARTIFACT it gives me a popup saying no hacking and logs me out of the game. Since when is checking stats hacking. I have an idea why but not going to say it. samething happens to me when i check his angel artifacts strange. yep this is very strange indeed. I too experience this when I look at his artifacts. I will report this as soon as Tycoon menu is loading correctly and I can grab his server name. Thanks! 2019-4-23 18:47 GMT+8 , Processed in 0.058801 second(s), 48 queries .